We recently made a trip to Batsto Village, a historic site located within Washington Township in the Pine Barrens. 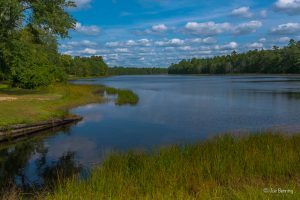 It is listed on both the New Jersey and National Register of Historic Places and administered by the Division of Parks and Forestry, part of New Jersey’s Department of Environmental Protection. An ironmaster by the name of Charles Read built the Batsto Iron Works along the Batsto River. It would eventually grow into the Batsto Village. Over the years it changed hands a number of times, with the last private owner being Joseph Wharton, who purchased it in 1876. Wharton, a founder of the Wharton School at the University of Pennsylvania, refurbished many of the buildings in the Village. In addition, launched a number of forestry and agricultural projects, including cranberry farming and a sawmill. 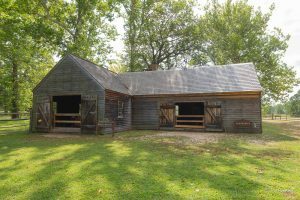 In the 1950s the State of New Jersey bought the Wharton properties and it is now a State Park with a Visitors Center and a small museum. It is well worth a visit. 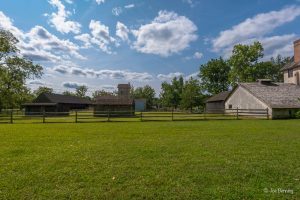 Batsto Village, Hammonton, NJ USA — August 28, 2017 Barns , fencing and a meadow in the historic town of Batsto, NJ, listed on the National Registry of Historic Places. Batsto Village, Hammonton, NJ USA — August 28, 2017 The Blacksmith and Wheelhouse shop in the historic town of Batsto, NJ , listed on the National Registry of Historic Places. 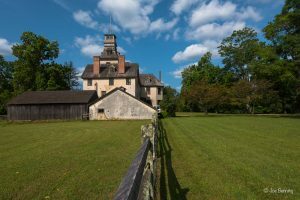 Batsto Village, Hammonton, NJ USA — August 28, 2017 The Mansion House in historic Batsto, village, listed on the National Registry of Historic Places.